Whatever home electrical project you are completing, you will need to complete the task of finding the right light bulbs for the job. It is not as simple as selecting the wattage you need for a particular project. Nowadays, technology has evolved so much there are a number of factors you need to take into consideration. Depending on the project you are working on, there are different light bulb caps that will fit in different places. The cap holds the bulb in position and ensures a direct and safe supply of electricity to the light. You can find bayonet caps, screw caps, and GU10 bulbs which are similar to bayonet caps. 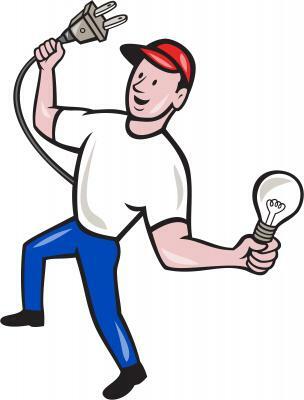 When replacing an old bulb you can simply match the existing cap to a new bulb. Or look at the different electrical supplies available from a retailer and choose the one that fits the new light fixture. It is difficult to categorise bulb shapes are there are no universal names for each one, although there are separate categories of bulb shape that you can use to plan your lighting design. For example, the traditional light bulb shape is one that has been in place in lights since the 19th century. It is popular, although not particularly stylish. The candle-shaped bulb is often used in chandelier-type fittings and uplighters. There are also spiral-shaped bulbs available as energy efficient models. And you can find reflective spotlights for use in the home and externally. The brightness of a modern light bulb is measured in lumens. You will see the lumens measurement on any package of light bulbs. The higher the lumens rating, the brighter the light will be. Before, wattage was the measure for brightness but now lumens takes its place. You need to decide how many lumens the bulbs need depending on what kind of light you want in the room and how many bulbs will be lighting the room. LED lights are a popular choice. They are efficient and cost-effective to run and last much longer than the traditional incandescent bulb. You don’t have to wait for the bulb to “warm, up” – you get light immediately. CFL bulbs or energy saving light bulbs are low cost, and they also last a long time. Halogen bulbs are bright and cheap. Being able to dim the lights enhances the quality of any room and you can also save energy more easily. You may want to consider dimmable bulbs in a lighting project, which will affect the type of bulb you choose as some are not dimmable. LED lighting is available to buy in dimmable and non-dimmable types, but CFL bulbs cannot usually be dimmed. Halogen bulbs can be dimmed if required. The final thing to consider is the colour temperature of the bulb. By deciding on the colour temperature you can set a different mood in the room, from warm yellow light to brighter, more dynamic blue light that works in a more active space.